This week was crazy learning time for me and my heart! Because my companion was asked to attend an important mission meeting, I was left with a new companion for the day, and I led my area. Worst. Day. Of my mission. But huge growing experience. I have never been really good at talking to people with seeing how they are doing, and so I've always feared the day that I would have to lead a companionship. That day came last Thursday. The lesson happened the way that I had feared. But we didn't die and their house didn't explode, and thank goodness for my temporary companion (funnily enough, her name is Hermana Mortensen too). I felt really bad for myself that day, and I was tempted to call home and say that I couldn't do this. But I knew that God would never give me those thoughts, and I knew that He has a plan for His children and there was no doubt that I am part of that plan. Entonces, I went home and talked to Heavenly Father with all my heart. And He is here with me every step of the way. 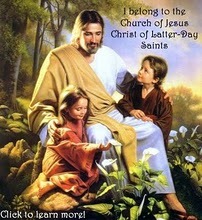 I'm going to go help and pray for His children all day; I have fear inside, but I know in whom I have trusted. My faith in my Father in Heaven is so much more than what a doubt could ever do. Don't forget that. Ever. I say that in Jesus' name, Amen. The area that I'm working in is called Kearny. Newark is the next city over and has the highest crime rate in the nation. So just sit on that for a minute;) So it turns out that no sisters can serve in Newark because it is too dangerous. Kearny is the most dangerous place that sisters can serve in in this mission, which honestly some places seem sketchy, but I haven't felt threatened ever. The people that we talk to are so awesome! Well, there's one person I wanted to slap, but I won't worry about that. We have one person set for baptismal date, and I can't remember if I told you, but his name is Oscar Guerrero Sr. Super awesome guy! He's come to church two weeks in a row! And his wife is a less active member, but she's gonna get Sundays off and their son Oscar Jr. was baptized like two months ago and he's got the Aaronic priesthood now and he's gonna baptize his father! They have such a beautiful family and are so kind! They also have a daughter who is a less active, but we are working with her too. She is just as kind as her family. Then we have another family called the Ojedas. The mother is a strong Catholic, but we've been teaching her and she is praying to know if Joseph Smith is a true prophet and if the Book of Mormon is true. The son is a recent convert who is actually struggling right now. But then a miracle. We were meeting with Hno. y Hna. Ojeda, thinking that we were teaching two investigators. Then Hno. Ojeda went out of the room for a second and while he was gone we invited Hna. Ojeda to be baptized. He came back in and his wife expressed to him that we had just asked her to be baptized. He replied that he wasn't surprised, seeing as that was how he was baptized. WHAAAT?????? Apparently 35 years ago in Ecuador he was baptized and was active for two years! We think that he might even have the Melchezidek priesthood! He's wanted to come back, but was afraid. He hasn't been able to come to church because of his work. But he supports his family in looking into the church. What a huge miracle and blessing!! So I just had to shpeal on that. Miracles DO happen! So, I don't have very much time, so I will post some pictures (finally!) Love ya'll!